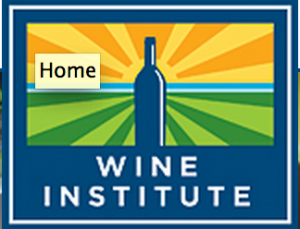 We could not hold the Wine Tourism Conference without the support of our sponsors. Astra is a digital marketing agency dedicated to the direct-to-consumer channel of the wine industry. Wineries face a crowded consumer landscape in the direct-to-consumer channel so it is crucial to have a savvy, professional team strategizing, coordinating, and implementing your digital marketing initiatives. Visit Astra at the Opening Reception and Expo to learn more! Repour. Retaste. Relax. This stopper is a very smart wine saver. It removes the harmful oxygen from your wine, keeping it fresher for longer. We say cheers to that, again and again. Learn more and like them on Facebook! 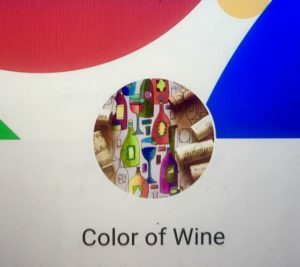 Color of Wine is an experiential mobile app for brands to connect with lovers of wine, food and travel. Learn more and like them on Facebook and Instagram! Sacramento International Airport (SMF) is your gateway between Northern California destinations and major cities across the U.S. and the world. Located 12 miles from downtown Sacramento and always open, service is available from 12 major carriers. The airport opened October 21, 1967, as Sacramento Metropolitan Airport. Founded 40 years ago, Wine Road is an association of wineries and lodgings in the Alexander, Dry Creek, and Russian River Valleys of Northern Sonoma County. From its modest beginning as an organization of nine wineries, it has grown into a spirited constellation of 200 wineries and 50 lodgings. It’s not actually a “road” in the sense of a single, continuous stretch of paved highway, but more of a treasure map to the many jewels nestled among the hills and valleys of a region where fresh air, fine wine and exquisite cuisine await those who traverse it. 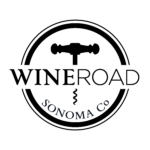 Based in Santa Barbara, California, Touring & Tasting is a marketing and media company serving the wine tourism industry. The nationally distributed and acclaimed bi-annual magazine has been the Premier Guide to Wine Country for 21 years and is the hallmark of the Touring & Tasting brand. The company has further expanded and diversified into a multi-faceted marketing company delivering innovative, content based, customized programs and partnerships to wine country businesses seeking to enhance and expand their brand. Touring & Tasting assumes a leadership position in the wine tourism industry by supporting and sponsoring a variety of conferences, festivals and events including the Wine Marketing and Tourism Conference, the Wine Bloggers Conference, the International Chardonnay Symposium and more. The Bohemian is an award-winning alternative newsweekly serving Sonoma, Napa and Marin Counties. The Bohemian provides a direct connection to the dynamic North Bay lifestyle and is regarded as the locals’ resource for insightful coverage of local news, arts, dining and entertainment. The Wine Bloggers Conference is an annual gathering of 350 wine bloggers and other wine industry members who are interested to learn more about wine industry communications, writing, and social media marketing. The 2017 conference will take place November 9 – 12 and will be the 10th annual event. Zephyr Adventures, organizer of the Wine Marketing & Tourism Conference, is the organizer of the Wine Bloggers Conference.